AIBI being a Public Limited Company is governed by the Companies Act 2013 and is managed by its Board of Directors. As per the Memorandum and Articles of Association of the company, the Board currently comprises of representatives from ten of its member organisations. The Board of Directors are elected as per the provisions of the Companies Act. The Chairperson and the Vice Chairperson(s) are elected from among the Directors and hold office for a tenure of 2 years or as may be decided by the Directors. With over two decades of rich experience in the investment banking industry in India, Gesu has deep understanding of the Indian capital markets and has led fund raising for corporates across various sectors including consumer, healthcare, technology, banking and financial services. She has been associated with a number of marquee capital market transactions in India, across products, and handled complex situations through the various capital market cycles over the last two decades. She has played an important role in the regulatory evolution of the Indian capital markets and has been involved with many capital market innovations over the years. Her participation on various regulatory committees is an endorsement of her experience and understanding of the capital markets in India. Gesu has been a Director of AIBI since September, 2011. She is the Chairperson on the Board of AIBI and a member of the REITs Advisory Group of the BSE. She represents AIBI on the Primary Markets Advisory Committee of SEBI. 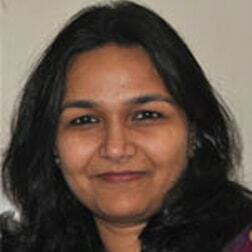 Gesu is a graduate in Economics Hons from Lady Shri Ram College, Delhi University and an MBA from Jamnalal Bajaj Institute of Management Studies. Mr. Anay Khare has been part of various aspects of investment banking such as equity origination, debt syndication, M&A, corporate finance etc over the last 25 years. 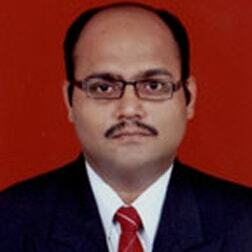 He has a deep understanding of and experience in capital markets in India. As Managing Director-Corporate Finance he leads a specialized team of professionals responsible for execution of investment banking products such as public issues, right issues, QIP, open offers, buybacks, private placements, de-listing offers etc. 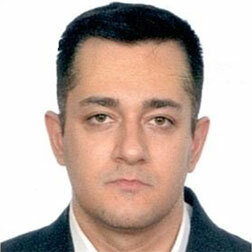 He has been involved in successful completion of more than 300 capital market transactions. He has represented his firm in various forums and policy making groups. Mr. Anay Khare has been a Director of AIBI for the last 10 years. He is currently the Vice-Chairman of AIBI. Pantomath Group is SEBI Registered Merchant Bankers, SEBI Registered Stock Brokers and SEBI Registered Portfolio Managers. The Group has handled maximum number of SME IPOs. Has had the working exposure with leading organisations viz., Reliance Industries Limited, ITC Limited and PricewaterhouseCoopers. Successful start-up of SEBI registered merchant banking venture at Sarthi Capital Advisors. An elected member on the Central Council of ICSI (Former-Chairman of ICSI-WIRC). With over 14 years of experience in the investment banking industry in India, Arjun heads the Mergers, Acquisitions and Restructuring Division at JM Financial. 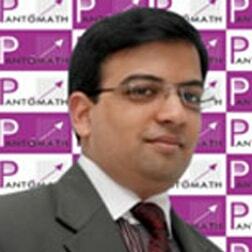 The division is particularly focused on the execution of Capital Markets, M&A and Private Equity transactions, and Arjun has a varied experience of not only capital market products like public issues, private placements, qualified institutional placements, delistings and buy-backs, but also M&A/ PE involving both private and public companies. 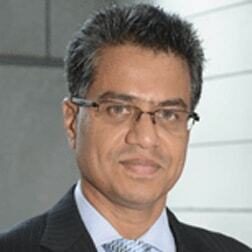 Over the years, Arjun has been actively involved in various consultations with regulators, especially on new platforms and regulations, including the framework on Schemes of Arrangement, amendments to the SEBI ICDR Regulations, creation of the Offer for Sale (OFS) stock exchange mechanism, framing Public Offer Guidelines and Listing Agreement for Public Issue of REITs and InvITs, the introduction of the stock exchange mechanism for settlement of tender offers, recommendations on Public Issue of Convertible Securities etc. He was earlier part of JM Financial's Delhi operations where he was closely involved in the disinvestment program. Arjun has a Master of Science in International Finance from the CERAM European School of Management and a Master in International Business from the Grenoble Graduate School of Business in France. Mr. Naik has rich experience across functions ranging from corporate planning, debt structuring and placements, Project Finance to Public and Private Equity. At Centrum he has earlier led the Debt team and was instrumental in ensuring Centrum's league table ranking as one of the top 5 fund mobilisers in India. Subsequently keeping in line with the group focus and thrust on Investment Banking, Mr Naik helped grow the Corporate Finance and Advisory businesses to enable Centrum emerge as a reputed & trustworthy brand name among Mid Cap Corporates. Mr Naik is currently responsible for the Investment Banking Business at Centrum which also includes Business Development for the Group and is at the fulcrum of the origination function for all businesses spanning debt and equity. He also holds the additional responsibility for Group fund raising. A Commerce Graduate from Mumbai, Mr. Naik has also completed his Masters in Management Studies (MMS) from Sydenham Institute of Management Studies, Mumbai. A Commerce graduate, Chartered Accountant and Cost Accountant by qualification, Srinivas pursues his professional career in capital markets and corporate related activities with absolute passion and commitment. He started his career in the year 1986 in the Investment Department of Unit Trust of India (UTI). Thereafter, he headed the Investment Banking Department as President of UTI Securities Limited (USL). As the former Head of Investment Banking at USL, he was instrumental for creating a niche for USL for managing issues in the Mid-cap segment and making it an industry leader and the top choice Investment Banker in this segment. After spending more than two decades with the UTI Group, Srinivas promoted Saffron in January 2007 to pursue his areas of interest. His dedication towards the growth of emerging corporates has seen him successfully complete more than 55 IPOs and a host of other transactions. He has with over 20 years of experience in financial services and is a veteran in the capital markets. His vast experience allows him to leverage his cross functional skills in Investment Banking, Strategy & Networking and is the guiding force of Saffron . He has been serving as a Director on the Board of Association of Investment Bankers of India (AIBI) for the last five years and has also served as the Vice Chairman of AIBI. His other interests include yoga, meditation and related spiritual pursuits and is also a teacher at the Art of Living. Venkatraghavan S. has been with IDFC Bank Limited not only since inception but even before as part of SSKI, when IDFC acquired it in 2006. He has played a key role as part of the founding team that set up SSKI’s Equity Capital Markets business. With over 22 years of investment banking experience, Venkat has rich experience across Equity Capital Market products, Private Equity transactions and Mergers and Acquisitions across various sectors and market cycles. Presently working as Managing Director & Head - Equity Capital Markets in IDFC Bank Limited, Venkat holds a B. Tech degree from I.I.T., Madras and a post graduate MBA degree from I.I.M., Ahmedabad. Prior to joining SSKI / IDFC, he was working with SBI Capital Markets Limited in the M&A practice. 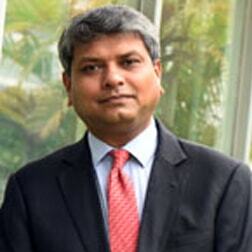 Vikas brings with him over 22 years of rich experience in Indian Investment Banking industry. Before joining Ambit, he has worked with marquee organizaions like DSP Merrill Lynch, Citigroup, Morgan Stanley and HSBC in several senior positions across Capital Markets and Investment Banking groups therein. Vikas is an engineering graduate from BITS, Pilani and he completed his Postgraduate Diploma in Management from IIM Calcutta. With over 20 years of experience in investment banking and capital markets in India, Prem D’Cunha co-heads execution of Capital Markets transactions at ICICI Securities Limited and has rich experience across Capital Market products. Prior to joining ICICI Securities, he held senior positions across Investment Banking groups and Capital Markets in Edelweiss and National Stock Exchange of India Limited respectively. Prem was involved in various consultations with regulators, on creation of the Offer for Sale (OFS) stock exchange mechanism, framing Public Offer Guidelines for NCDs and InvITs, the introduction of stock exchange mechanism for settlement of open offers, buybacks etc. 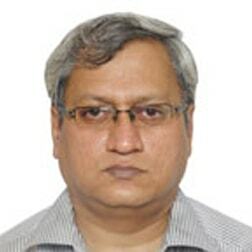 He has worked on disinvestment transactions including the first PSU disinvestment through ETF. Prem is a Commerce graduate and Masters in Financial Management from Mumbai University. Narayanan, a commerce and law graduate from Bombay University, brings with him more than 4 decades of experience in the financial sector. 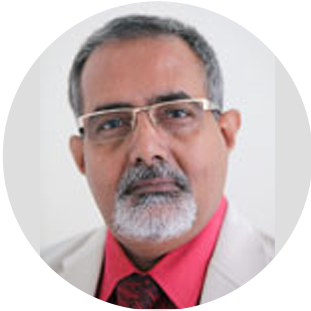 Prior to joining AIBI in 2012, Mr. Narayanan was the Executive Director in Saffron Capital Advisors Private Limited. Narayanan started his career, in 1975, in the legal department of ICICI Limited and thereafter joined DSP Financial Consultants Limited (later DSP Merrill Lynch Limited). During his decade long working in DSP (between 1983 and 1993), he has handled many mandates of various leading Corporate houses which gave him immense opportunity to hone his skills in the entire gamut of managing IPOs, Rights Issues and Private Placement of Debt instruments with Financial Institutions. 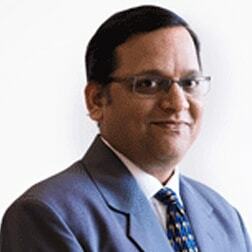 Later, Narayanan worked as Senior Vice President with Fortune Financial Services Limited, UTI Securities Limited (later STCI Securities Limited and now Standard Chartered Securities Limited) and for brief periods with Edelweiss Capital Limited and Emkay Global Finance Limited. Due Diligence and drafting of Offer documents relating to IPOs, Rights Issues, QIBs, Delisting and Takeovers being his forte, Narayanan has led and guided the execution team at UTI Securities, Edelweiss, Emkay Global and Saffron Capital.